These cute little paper tassels are fun to make and are very versatile to use. You can use them as a gift wrapping embellishment or even string a few together to make a pretty and colorful party garland. Make them in different colors and patterns to fit your style. Here is what you need. I have made a large version of these for some Christmas gift wrapping last year. Made them with patterned paper and they turned out really cute. 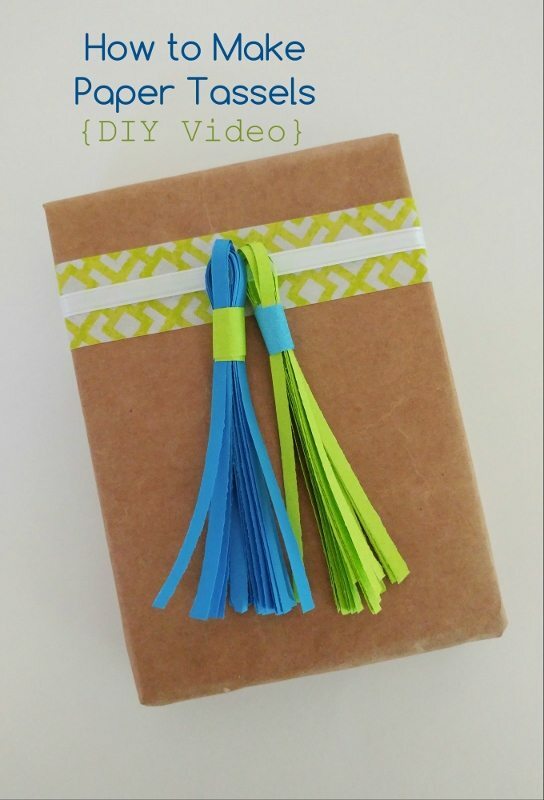 Here is a quick pone minute video on how to make these easy paper tassels. If you would like the step by step photo tutorial, check out my tutorial for my Christmas paper tassels. Never thought to make tassels out of paper. Cute!Thank you for sharing with us at #HomeMattersParty . We would love to have you again this week.